Today’s Apple keynote is over, and it offered up some concrete new details about the company’s hotly anticipated new watch, the first product category Apple has introduced in five years — and the first since the death of its famous co-founder, Steve Jobs. Need a new watch? Here’s what we know now. Apple Watch will ship on April 24 in nine of the most industrialized countries on the planet: USA, UK, Australia, China, Canada, France, Germany, Hong Kong and Japan. When can I check it out for myself? On April 10, you too will be able to see, hear, touch and even strap to your wrist the new Apple Watch at Apple retail stores (by appointment). It will also be available to view or try on at Galeries Lafayette in Paris, Isetan in Tokyo and Selfridges in London. If you like the watch, you will be able to pre-order it on Apple’s website on that day. Where can I buy one in person? Apple Watch will also go on sale on April 24 in Apple retail stores (with reservation) and at various department stores and boutiques in major cities, including colette in Paris, Dover Street Market in London and Tokyo, Maxfield in Los Angeles and The Corner in Berlin. 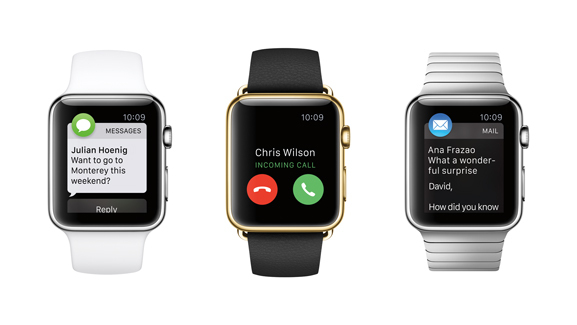 Apple Watch is available in three collections: Apple Watch Sport, Apple Watch and Apple Watch Edition. The most expensive model is the Watch Edition, and it will set you back $10,000 or more. 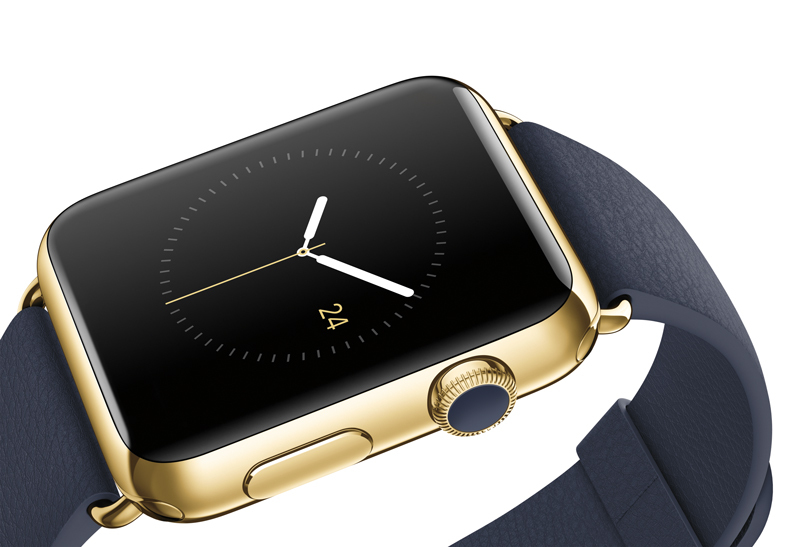 It is made of 18-karat solid yellow or rose gold, and if you’re worried about the price — then you can’t afford it. Thankfully, there are plenty of choices available with more accessible pricetags. 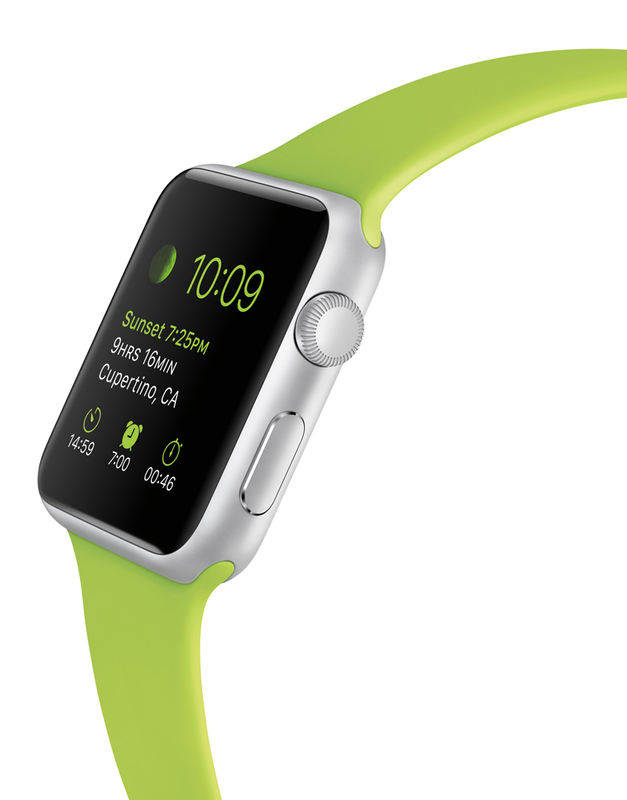 The Apple Sport Watch runs $349 for the smaller 38mm face and $399 for 42mm face. 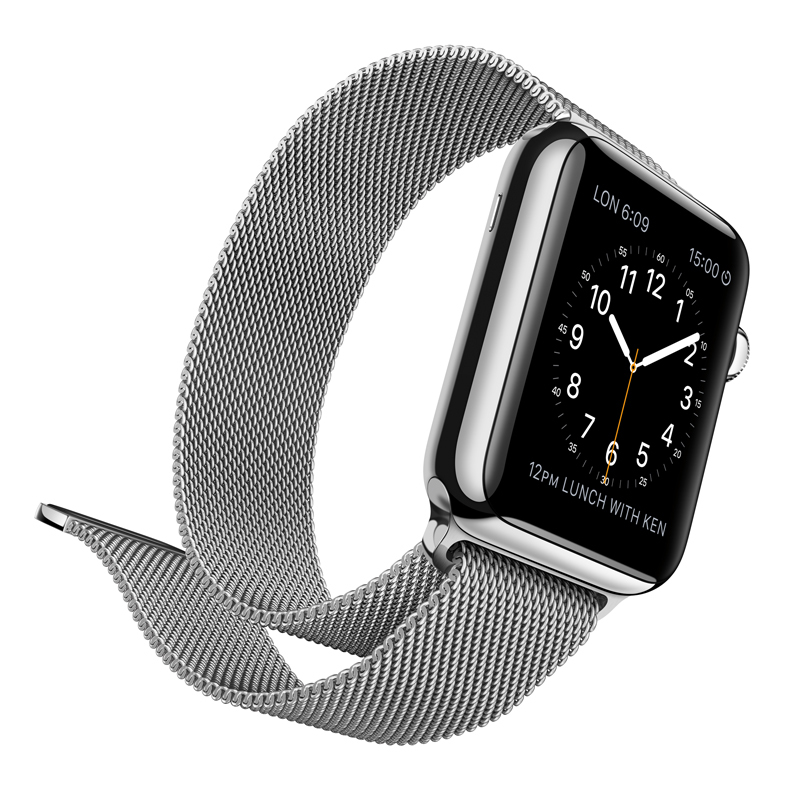 The stainless steel Apple Watch is $549 to $1049 for the 38mm face and $599-1099 for the 42mm face. You didn’t expect Apple to release just any old watch, did you? It practically invented its own metals just for this release. The stainless steel used to make the cases becomes up to 80 percent harder through a specialized cold-forging process, according to Apple. The aluminum (Jony Ive pronunciation) used for the Apple Sport Watch is 60 percent stronger than standard alloys but just as light, the company says. And then of course there’s the gold version. Wrist straps also affect the pricing, as the various Apple Watch and Apple Watch Edition models are priced according to the band and the finish. You can view all the details on Apple’s website. The Apple Watch collection features stainless steel cases in two finishes — traditional and space black. The Watch Sport has cases made from anodized aluminum in either silver or space gray. How do you charge them? Charging Apple Watch is simple. Just attach the magnetic charger to the back of the watch. The Apple Watch Magnetic Charging Cable comes in 1m or 2m in length for $29 and $39 respectively. For a typical day, Apple says to expect up to 18 hours of battery life, though depending on your own use, mileage will vary. Apple has posted a General Battery Information page with even more details. Is the watch really that accurate? The Apple Watch keeps time to within 50 milliseconds of UTC, the universal time standard, however, accuracy depends on regular syncing with your iPhone. Is there a companion iPhone app? Why yes, there is, and you can get it today if you update your iOS to the newly released version iOS 8.2. The companion app lets you set up the Apple Watch and choose which notifications to receive — that is, if and when you actually buy one (see above). What iPhones are compatible with the Apple Watch? To link the Apple Watch with your iPhone, you will need to have any of the following models: iPhone 5, iPhone 5c, iPhone 5s, iPhone 6 or iPhone 6 Plus running iOS 8.2 or later. What can I use the Apple Watch for? For one, you can make and take calls from your wrist. But there’s all kinds of other use cases and integrations from sports to stocks to Twitter and more. The Apple Watch condenses and simplifies the iPhone experience and makes it easier to interact with apps on the fly and without having to reach into your pocket. You can do things like request an Uber, check-in to an American Airlines flight, remotely control a Honeywell Lyric thermostat and more. Apps such as Instagram, Facebook, MLB.com At Bat, Nike+ Running, OpenTable, Shazam, Twitter, WeChat and others will also be available. The watch lets you use Apple Pay to buy lunch, or keep track of your running and cycling routine, or control your music. It even reminds you not to be a couch potato. Notifications you receive on your iPhone can automatically appear on Apple Watch, if you choose. 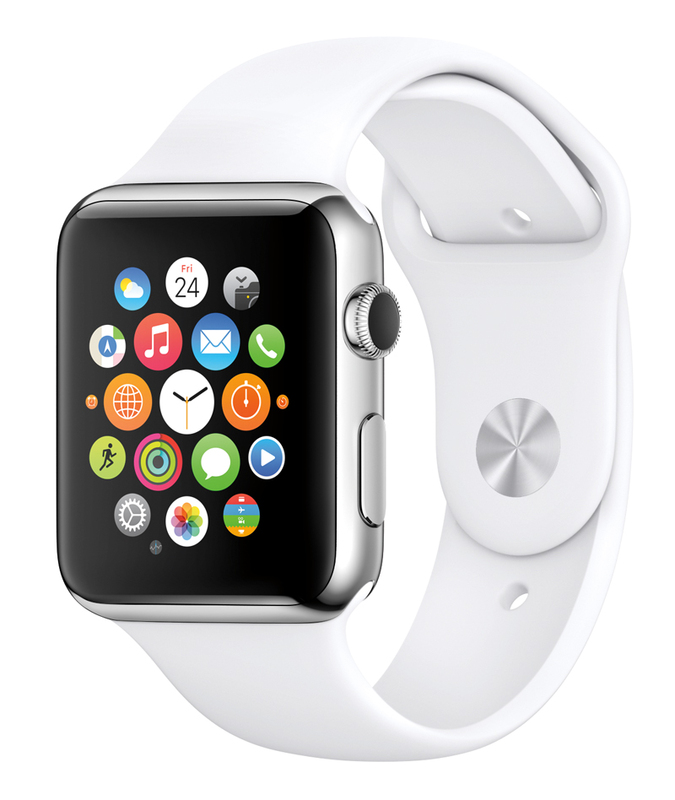 Where can I get more information about and specifications for the Apple Watch now? There’s an abundance of technical information and specifications on Apple’s website. Updated on 3/9 to correct information about the charging cable.